Showing results for tags '1/100'. GrahamT posted a topic in The Workshop! Here's some progress on my 1/100 Armored Factory. I'm working on a Bandai re-issue kit and an old Revell Robotech kit, I'm restoring the one I had as a kid - so x4 gates in total. For the colour scheme I'm mostly following the original Arii box, but with the yellow cranes from the Revell box build. I plan to add lighting and a roof later. Hi everyone. I was browsing around a old toy shop and I was able to find a really rare ihp model kit. I want to share this kit with the world and that's recasting for the members of macrossworld. After careful inspection. Its only missing one part which is easy to scratch build but I need the instructions for this kit. The kit has a website linking the old ihp site but the pictures of building the kit is down. Here is some pics. I was thinking of providing the magnets and screws once I'm done building it but I don't have a clue where to start. This is a rare find. If anyone on this board has pictures of the instructions. Please do post it here. 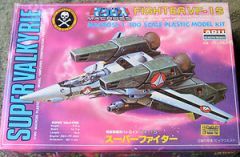 Hey guys, I am wondering who has experience with this kit: https://www.google.ca/search?q=BANDAI+1/100+VF-19+Variable+Model+Kit&hl=en-GB&biw=1280&bih=685&tbm=isch&tbo=u&source=univ&sa=X&ei=5tI9VN7nOtCuyATjgYLIAQ&ved=0CBwQsAQ I am wondering if it is on par with their YF-29 snap fit kit as far as details go. This is a transformable kit, as far as I can see, and so it would be a huge bonus if it was detailed nicely to go along with the gimmicks. I would like to do a conversion for the 1/72 Hasegawa YF-19 model kit, and I want to use a VF-19Kai kit as the basis. Thanks for any comments. From about a year ago, I started working on the 1/100 Armored Factory rerelease. The assembly of the "factory" itself was pretty straightforward, but I got bogged down on the vehicles (old school kits have some truly small parts. E.g. : side mirrors!). This past weekend, I finished the Armoured Valkyrie. It's a major milestone, as I've been working on it for a good chunk of the year. The kit itself is alright, but lacks any gimmicks such as missile hatches that one can open (or are glued open). The possibility is also extremely limited, and the lack of a gun pod is also a shame. It's truly a kit made to be displayed as something waiting for/just completed maintenance in the hanger. After a few times moving the limbs in the limited range that they can move, some of the joints have become floppy... that said, the feet have a good range of movement, giving it stability in the full range of limited poses the legs allow. The head and beam guns also move - though, as I painted the kit after assembly, the paint prevents the guns from moving. On the subject of paint - the light gull grey that I used is a major pain! I didn't realize it when I purchased it, but its from the Mr. Hobby Water based line, and it caused no end of trouble, especially when putting acrylics on top! Suffice to say that there are layers of paint covered by layers of clear coat. Even then, some of it has come off from friction, etc.. Gah! Looking back, aside from not starting to paint it on the sprues (lesson learned), my one regret is not having filed down the seam lines. After so much sweat and tears with the paint, those seem lines bring the kit down. >.< On the other hand, I had a bit of fun mixing paint to get some custom colours for the first time (light blue forearms, green sensor on back, light green visor). Though, I almost cried manly tears when I noticed a chip on one of the forearms! And as this topic is geared around the Armoured Factory, here is the Armoured Valkyrie in the "Factory" itself (its still a work in progress - I'm waffling over painting the entire thing, painting only a few spots, or just laying on the decals!) With the 1/100 Phalanx and Tomahawk (another work in progress), it's actually become quite an interesting diorama! 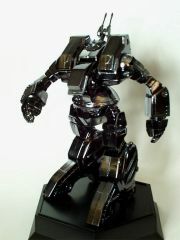 1/100 scale VF-1D. 1/100 scale Zentradi figure. 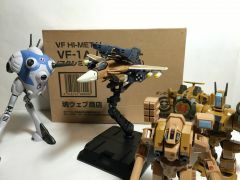 they're also doing a 1/100 scale VF-4, Hikaru's Skull Squadron version, but no pictures yet. Oh, and here's the N-Jer (DYRL version) they did a while back. Someone was asking about buying one. Benson13 posted a topic in The Workshop! And here we are with the second epic installment of Noob Vs. Models. 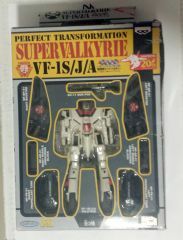 This threads victim will be ARII's 1/100 scale VF-1A. Now, last time with the Fan Racer, it was all about your basic masking, painting, and sanding. This time I'm going to experiment with some slightly more advanced techniques such as applying waterslide decals, panel lining, and weathering. I have on order some black Promodeller's Wash but it's about 2 weeks out. And as usual, all veteran modeller's are welcome to chime in and share their experience. Since I don't really care about this particular model I'd be more than happy to let someone else pick the paint scheme as long as it's within my abilities. So fire away with your suggestions. I personally was leaning towards the new Alaska Base scheme but we'll see. I can't actually do any priming or painting in the next couple of days because it's hailing/raining/storming out right now and last time I tried to paint after it rained I had to sand it all down, reprime, and repaint. I had no idea that was a bad thing. Oh well, lesson learned and that's what this thread is for. So this what's we'll be working with. Not to complicated, so that's good. First thing I noticed was that the nosecone could be screwed up pretty easy. The way the sprue is connected to the actual piece is going to be a pain in the turdcutter to clip and sand right. On a side note it's taken about 2 and 1/2 hours just to get this single post up because I keep getting sidetracked playing Final Fantasy V.